Analysing the expiring contracts at Manchester United – who should go, who should renew? As the footballing calendar rolls into the winter months, the attention of the sport turns toward the January transfer window. Although not as hectic and crazy as the one in the summer, the midseason window opening allows teams to fine tune their rosters ahead of the end of the campaign. It’s also a time for clubs to start looking at the contracts that are set to expire at the end of the season, and decide who should stay and who should go. Manchester United are no different, and with ten players on expiring deals, there are a number of crucial decisions that need to be made. 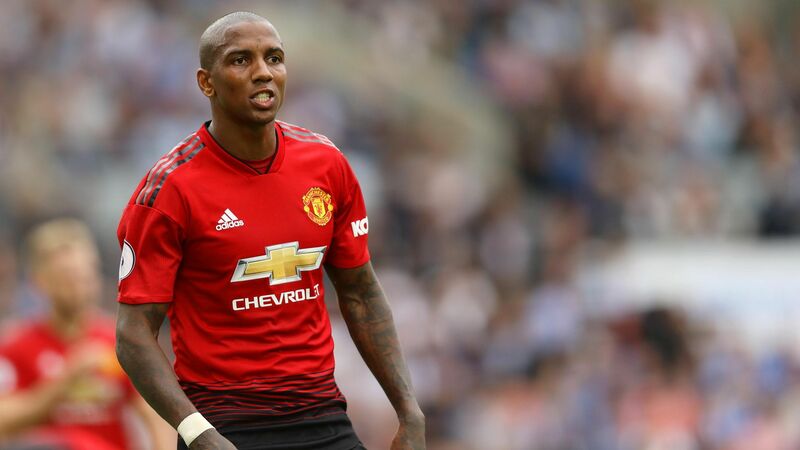 Every year it seems Ashley Young will be leaving Manchester United, but every year he signs another contract extension instead. It’s simply remarkable at this point. To his credit, Young has changed his game in order to stay at the club. Realizing he’d no longer get game time at his preferred left wing position, he worked on his defensive game and turned into a left back that was deemed good enough to make the England squad for the World Cup. However, it’s clear he’s just not good enough to be a consistent starter for United anymore. Young is exposed in big games, and is run ragged by quick wingers. The resurgence of Luke Shaw means he’s no longer needed as much anymore, and the club should let Young leave and get one last contract somewhere else before he rides off into retirement. The Ecuadorian has been the starting right back for United this season, but that is due more to the clubs problem at the position that the ability of Antonio Valencia himself. He’s trying his best, but there are a number of reasons why it’s just not working out. As a natural winger, Valencia much prefers going forward than going back on defense. His age has really caught up with him as well, and it takes him too long to get up and down the field. However, as it doesn’t seem like the club will bring in a capable right back in January, they still do need him. Diogo Dalot has all the potential in the world, but he needs some time to get used to playing at the highest level. Valencia could become a mentor for the young Portuguese fullback, and help accelerate his growth. It maybe shouldn’t be the case, but considering the current state of the club, United would be best served offering him a one year extension. You can argue that Juan Mata is the most underrated and under appreciated player at Manchester United right now. Coming to the club during the David Moyes horror season, the diminutive Spaniard has been a consistent figure in the team under three separate managers already. Mata is the definition of a big game player, and can be relied upon in any situation. He was crucial to United’s successful Europa League campaign, and has done the job needed in a number of crucial fixtures since then. No one will forget his brace at Anfield (a.k.a Juanfield) for a while, and his free kick goal against Juventus kickstarted the now famous comeback in Turin. He’s done this all out of position as well, being forced out wide instead of playing in his preferred central role. Mata does deserve to be starting somewhere else, and has plenty of suitors back home in Spain, but United should try and offer him as much money as possible to convince to stay as a much needed rotational figure. Like his Spanish compatriot, Ander Herrera is almost in the same exact situation as Mata. Called upon in big games, but not a consistent starter, there’s a chance Herrera could be tempted into returning to his former club Athletic Bilbao. However, the Man U board should try everything in their power to keep him as well. Herrera brings a passion to the field that most others don’t. Even though he’s not an academy product, or even from Manchester, it’s clear he truly loves the club. He fights for the badge, and leaves it all out on the field everytime he steps onto it. It’s not like Herrera is just a passion merchant either. He’s an exceptional defensive midfielder who specializes in man marking, and even single handedly stopped Eden Hazard a few seasons ago. He’s not useless going forward either, and has actually grabbed a number of goals and assist in his time at the club. Hopefully this situation will be resolved with a contract extension, and it won’t end up being a case of United only realizing how much Ander Herrera meant to the club until after he’s gone. In all honesty, most fans would be surprised to hear that Matteo Darmian is still at the club. It’s not a slight against the Italian, who is far from the worst defender ever seen. He’s had his moments during his United tenure, with his stellar performance against Ajax in the 2017 Europa League final being the highlight. However, his time has come, and Darmian will most likely be leaving the club in January. There was plenty of interest for him in the summer, and it was odd that no one ended up signing him by deadline day. He hasn’t featured since the opening game of the season, and deserves to find first team action elsewhere. It’s been nice, but it’s time United and Darmian head their separate ways. The fact that the club have left it this late to sign David De Gea to a long term deal is astounding. He’s the best goalkeeper on the planet, has saved the team on countless occasions, and deserves whatever weekly salary he wants. It’s as simple as that. Get it done. Returning to the starting lineup during the early months of this season, it seems likely Chris Smalling will sign some sort of extension before his current deal runs out. The beneficiary of Mourinho putting Eric Bailly in the doghouse, Smalling hasn’t been that bad since being paired alongside Victor Lindelöf. He’s prone to a mistake or two, but Smalling has plenty of experience at the Premier League and international level. Against all odds, he’s become a goalscoring threat on set pieces as well, and manages to score in most away matches. He shouldn’t be starting for much longer, but he’s a worthy enough option to have in the reserves. For many years, it seemed like Smalling and Phil Jones were nearly identical. Both came to United as youngsters, and were occasional starters for both club and country. In recent seasons, however, Jones has started to fall behind. Him being injury prone has been the biggest issue, as he’s unable to start for a consecutive stretch of games without having to return to the treatment table. Jones makes too many mistakes as well, and can’t be trusted for ninety minutes. His most recent big game was in the FA Cup, where he gave up the penalty that was converted by Eden Hazard which cost United thetrophy. He’s no longer at the level required for a club like Man Utd, and should be let go to find a new team when his contract runs out. There were worries coming into the season that Anthony Martial would be leaving the club before the campaign even began. There was a clear disconnect between player and manager, and the relationship seemed past the point of repair. Since then, he’s turned it all around, and has become the crucial piece of the United attack. Fellow UtdReport writer Josh Gmerek-Iftakhar wrote about it in more detail in a recent article, but his recent form proves he needs to be signed to a long term deal. Martial is the future of Manchester United, and deserves a contract worthy of his talent and potential. Starting the first few games of the Premier League season, United fans were hopeful that this campaign would be a breakout one for Andreas Pereira. After impressing for two years on loan in La Liga, it seemed like he had the trust of manager José Mourinho. Since then, unfortunately, it’s all gone downhill. Pereira has only seen the field for 36 minutes in all competitions, and is reportedly flustered with his lack of game time. He wants to be at a club where he’s featuring frequently, and he no longer feels like that will happen at United. The quality and potential of Pereira is undoubted, and the club have to make sure they keep him for the long term. It starts with Mourinho, who should be giving the young Brazilian more chances in the team. Once that happens, and Pereira starts to see himself as a part of the future at United again, he’ll then be ready to commit to a much needed long term contract.